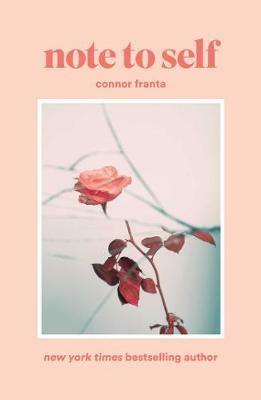 In his New York Times bestselling memoir, A Work in Progress, Connor Franta shared his journey from small-town Midwestern boy to full-fledged Internet sensation. Exploring his past with humor and astounding insight, Connor reminded his fans of why they first fell in love with him on YouTube-and revealed to newcomers how he relates to his millions of dedicated followers. Now, two years later, Connor is ready to bring to light a side of himself he's rarely shown on or off camera. In this diary-like look at his life since A Work In Progress, Connor talks about his battles with clinical depression, social anxiety, self-love, and acceptance; his desire to maintain an authentic self in a world that values shares and likes over true connections; his struggles with love and loss; and his renewed efforts to be in the moment-with others and himself. This book is certainly a disgrace to our new generation. How can this thing even be in our present as it seem to appear abhorrent. This boom is an open diary and offers a small glimpse into the mind of the author. It's beautifully edited and illustrated with photographer quality photos which are full of life and hope. This books speaks to a group of people who usually have little voice. Here, Franta shows his emotional side and shares some of his darkest secrets with his fans. An absolutely frantastic book !